TURKEY’S constitutional changes endorsed in Sunday’s referendum threaten to take that country further down the road to fascism. President Recep Tayyip Erdogan will assume sweeping new powers with which to pursue his authoritarian, neoliberal and Islamist agenda. 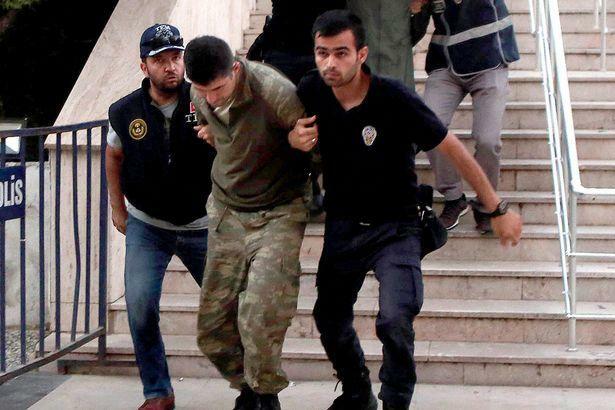 More than two weeks after Turkey’s dramatic failed coup, what exactly happened remains shrouded in mystery leaving only speculation that has hardened into “fact” in the absence of convincing evidence. Two main theories have emerged: The first is that this was yet another in a longline of CIA-backed coups. 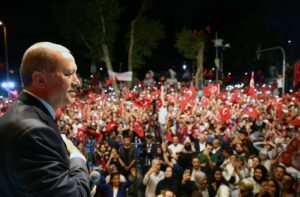 The other is that Turkish President Recep Tayyip Erdogan either staged or let the coup happen to give him the opportunity to consolidate his rule through a vicious and ongoing purge of his perceived enemies. 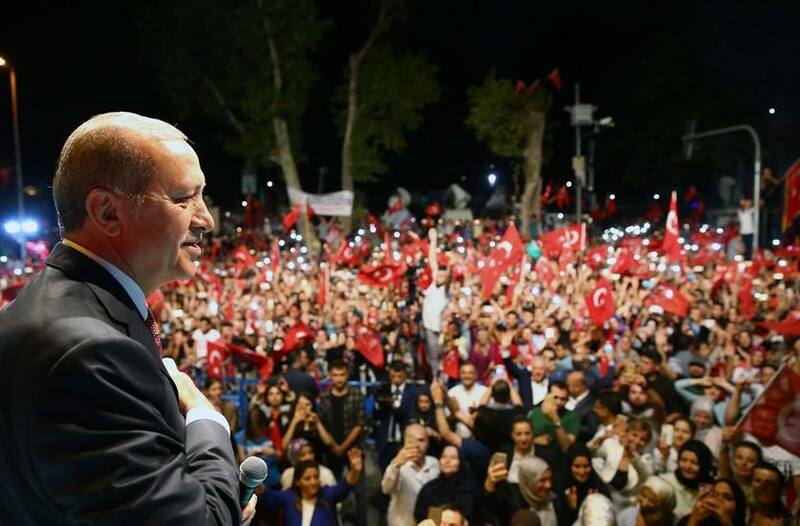 On the night of 15-16 July, Turkey went through a cataclysm that stunned the world: a huge section of the armed forces of the country (TSK in its Turkish acronym) attempted to take power from the government of Recep Tayyip Erdoğan and the AKP, came very close to its objective, but was ultimately defeated. Official statements of imperialist countries celebrate the triumph of democracy. Nothing can be farther from the truth. Furthermore, many commentators, remaining captive to the official explanation of the AKP government, point to the followers of Fethullah Gülen, a powerful imam who has been residing in the US for close to two decades now, as the culprit behind the coup. This is a mystification used by the AKP for various purposes, the most important being to ostracise the Gülenists and to hide from view that a much wider array of forces within the army have taken up arms. And on the left and far left, many are filled with excitement at the sight of civilians climbing over tanks and challenging with bare hands the heavily armed soldiers of the putschist forces. This, too, is a very distorted picture. A day after Turkish leaders revoked licenses, fired, and arrested tens of thousands of teachers and civil servants allegedly linked to last week’s failed coup, national authorities on Wednesday promised to establish “a special court for trying coup plotters” as well as “a special prison” for those convicted of taking part in the putsch, according to Turkish Weekly. Meanwhile, Istanbul mayor Kadir Topbaş told a group of protesters late Tuesday that he was planning to create a “graveyard for traitors” to bury the bodies of soldiers killed during the coup, Hurriyet Daily reported.